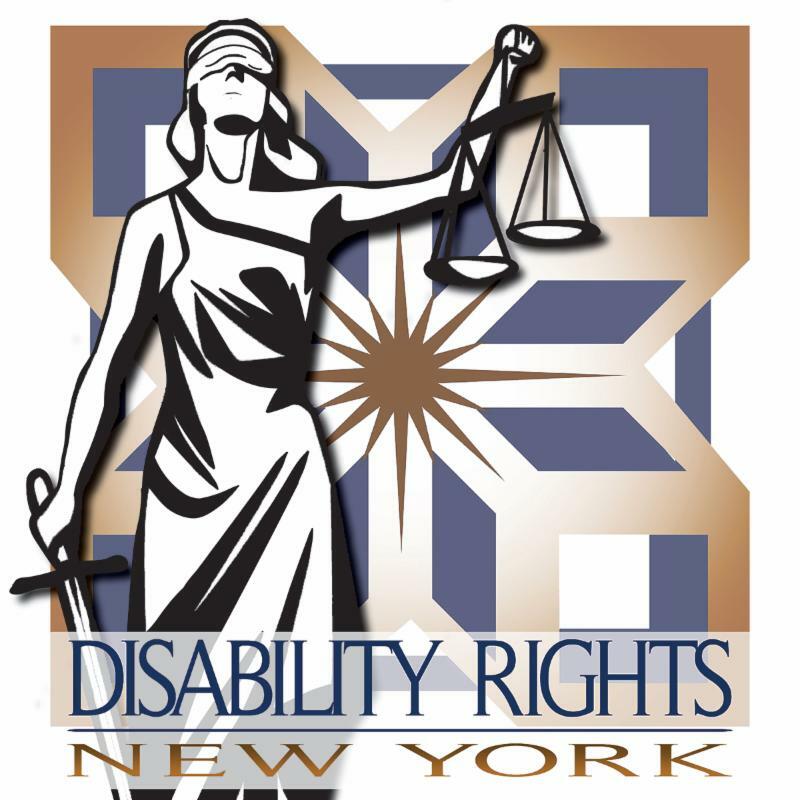 Investigating allegations of abuse and neglect against people with disabilities is a core responsibility of DRNY. It is critical that when we ask for the records we need to do our investigation we are given these records without delay. 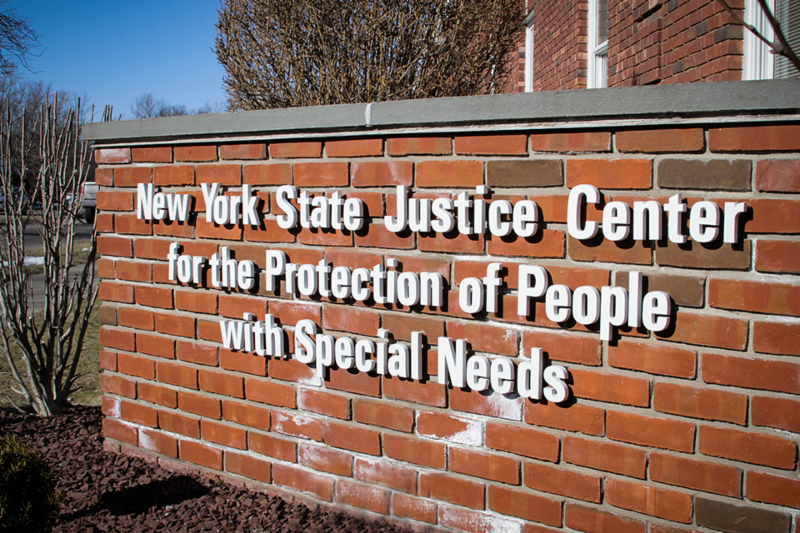 For years, DRNY has been litigating a case against the NYS Justice Center for the Protection of People with Special Needs because the agency has withheld or redacted records. This month, a federal court decided that the Justice Center violated federal law and interfered with our role to protect and advocate on behalf of individuals with disabilities. 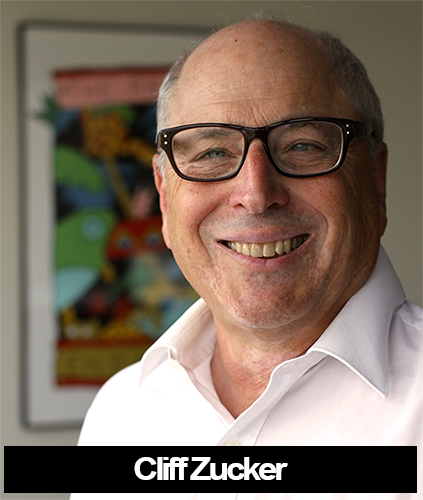 Thanks to the efforts of DRNY led by Cliff Zucker, and our co-counsel in O’Toole v. Cuomo, thousands of NYC adult home residents are being given the opportunity to move into the community. For more than 15 years, DRNY has been advocating for the supports adult home residents need to move out of these segregated institutions into their communities. In March 2018, NYS agreed to provide as many supported housing opportunities as needed to ensure that they can live the integrated lives they want. 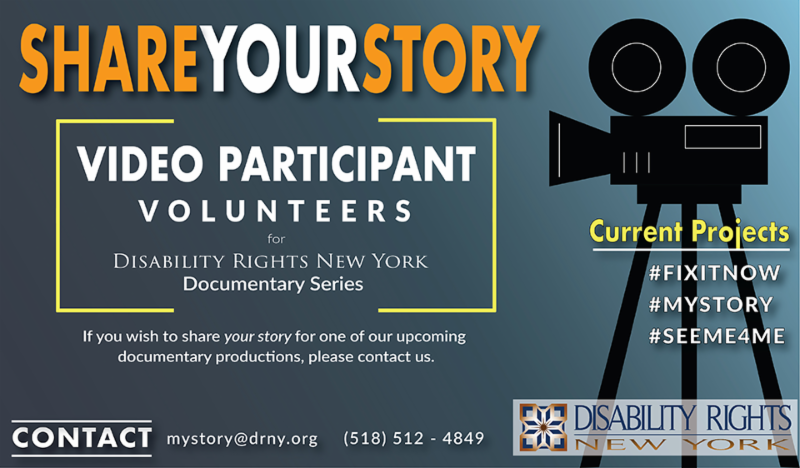 DRNY’s advocacy in adult homes started in 1990. In our Leben Adult Home litigation, DRNY’s Tim Clune and several co-counsel, represented 17 men who had been subjected to unnecessary prostate surgery. This case prompted a Pulitzer Prize winning series by the NY Times exposing the rampant abuse within the adult home industry. This case was a major impetus for DRNY to systemically attack the discriminatory use and reliance on adult homes by the state. 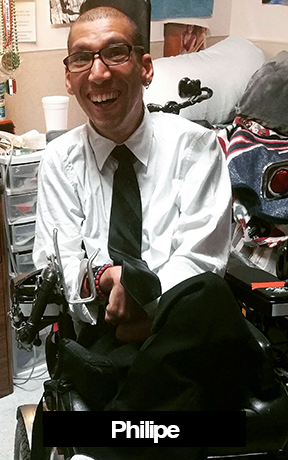 Philipe, or Flip as he prefers, is 31 years old and has Cerebral Palsy. He has been stuck in a hospital for over 10 years because his guardian has refused to allow him to leave. While at the hospital, Flip worked hard to build his skills and mastered assistive technology. 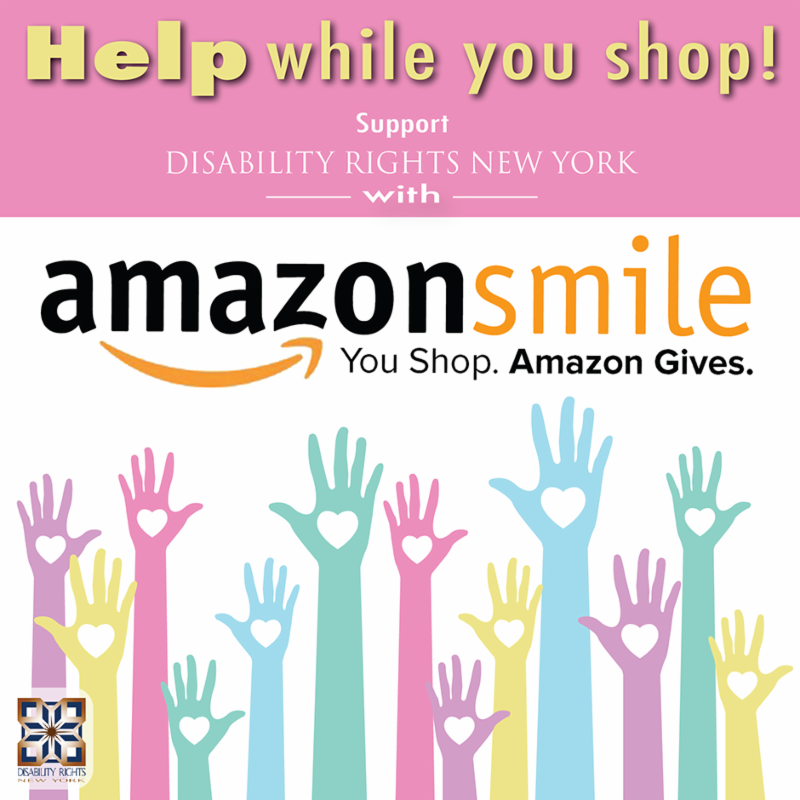 As a result, DRNY convinced a Supreme Court judge to terminate the guardianship since it was no longer needed. Flip is thrilled and already making plans to move into his own home. Congratulations Flip! 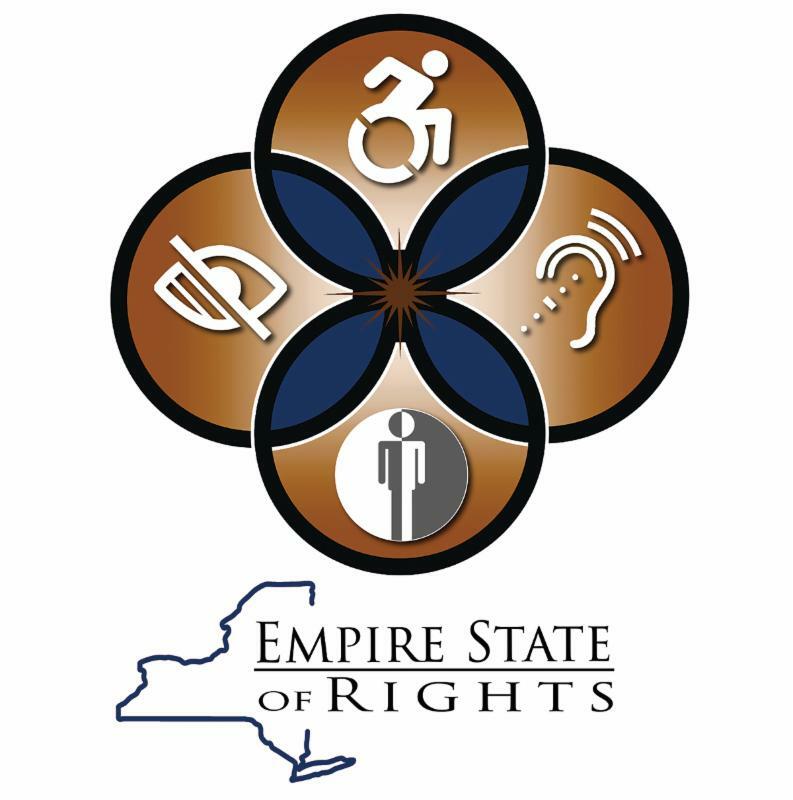 Join Us at the 21st Annual NYS Special Education Conference! 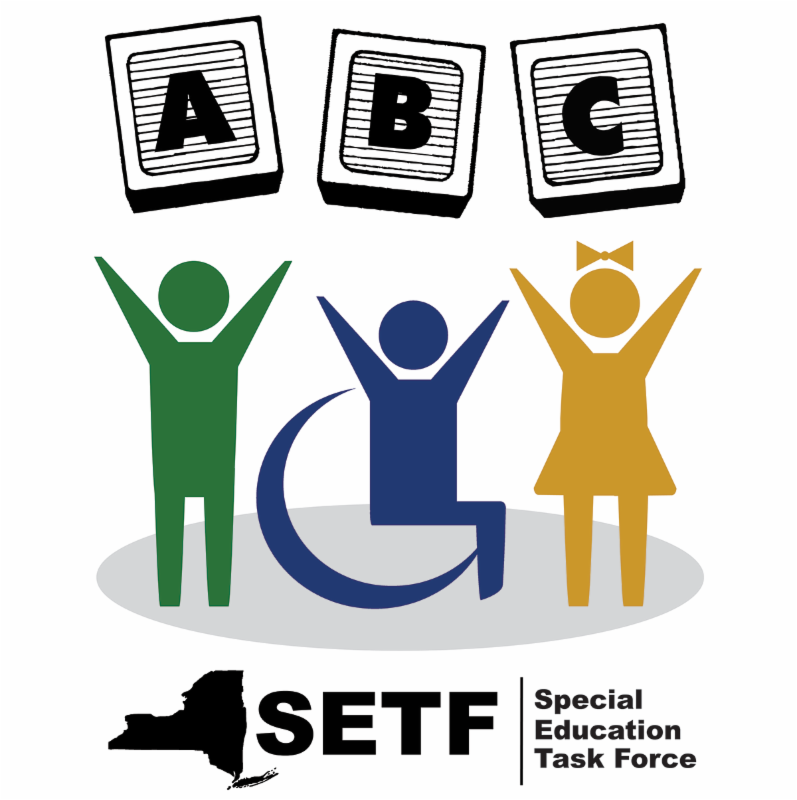 We are excited to invite everyone to the 21st Annual NYS Special Education Task Force Conference on April 17, 2018. Through the Special Education Task Force, we train parents, school personnel and other service providers together to reduce special education conflict and improve the educational outcomes and opportunities for students with disabilities. Did you know that affordable, accessible housing in New York City is rare? 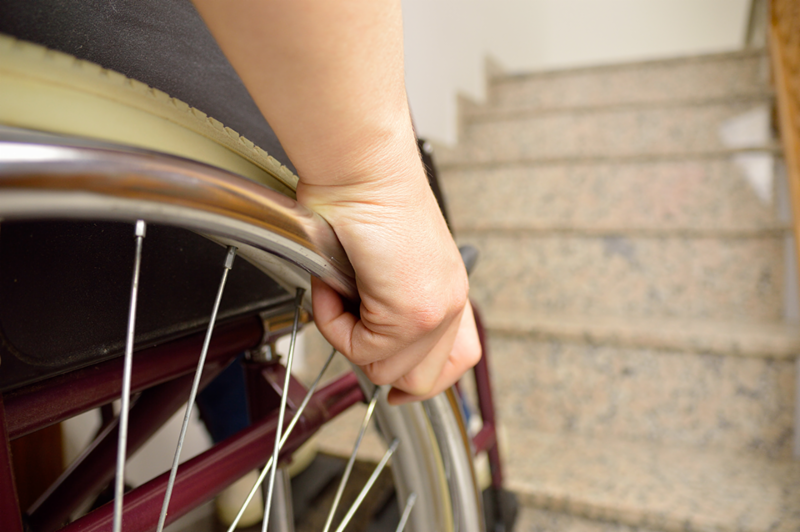 Many New Yorker’s are stuck asking their landlords to make their apartment accessible. The City’s Human Rights Law requires that landlords show hardship before they refuse to make changes. However, a New York appeals court wrongly concluded that tenants must show that their requests are not overly burdensome to landlords. DRNY has joined with other advocacy groups supporting an appeal of this decision to New York State’s highest court. Thanks to our advocacy, the NYS Office of the Attorney General now has publications available in large print. You can access a publication list and request a document in large print by going to https://ag.ny.gov/intergov-affairs/publications. We also secured a future commitment, that all publications will be available in large print on the Attorney General’s website without the need to make a special request. We are continuing to work with the Governor’s office to ensure access to large print documents across State Agencies. The Law School Admission Council (LSAC) is the only company that administers the entrance exam for law school. 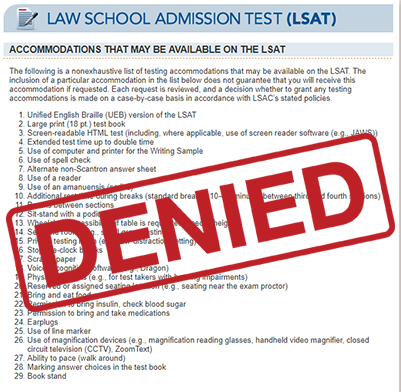 For years, people with disabilities have been shut out of law school because LSAC has denied testing accommodations. DRNY joined many other groups to support a case against LSAC. This month, a federal court found that LSAC was denying accommodations to test takers and flagging test scores of people with disabilities as they were sent to law schools, which was discriminatory. 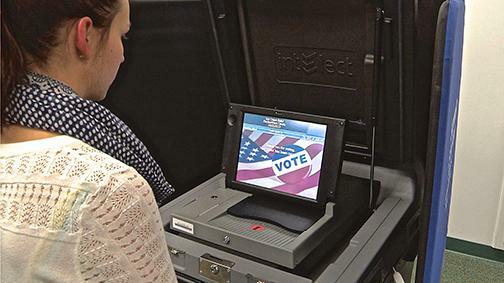 The court will now monitor LSAC for two more years to make sure that it stops these discriminatory practices. 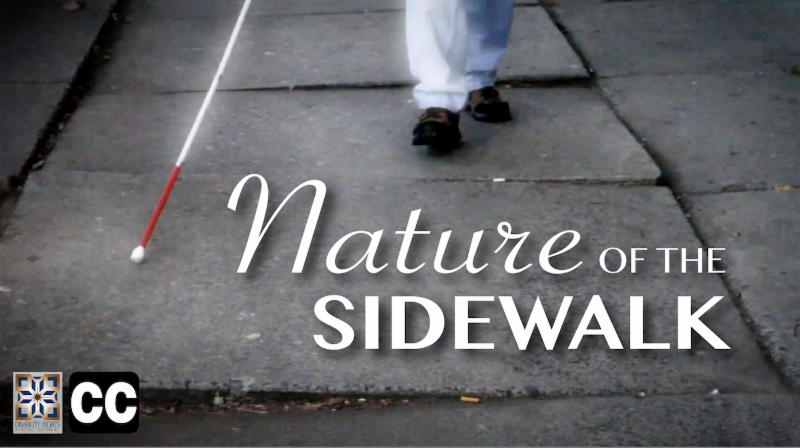 ILCHV Systems Advocate, Cliff Perez, talks about the importance of sidewalk accessibility for those who are visually impaired. 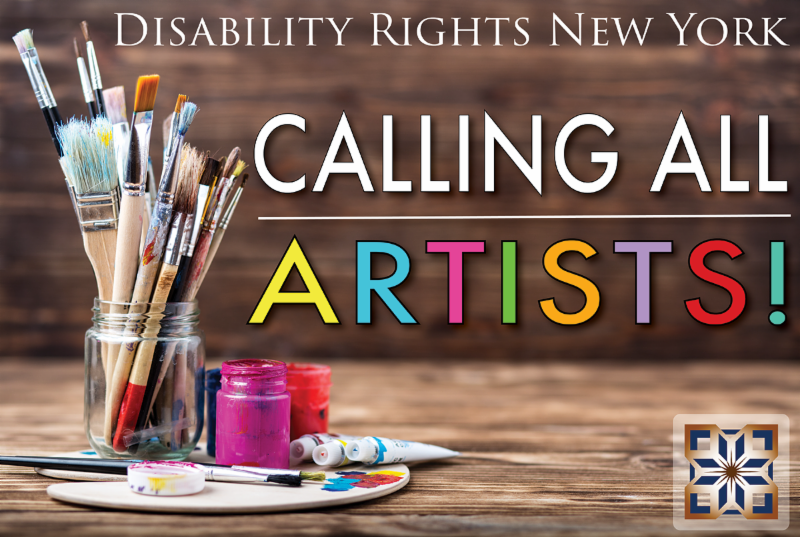 Please submit your work to submissions@drny.org.